As you might or might not have noticed, we don't release videos very often. Today, we present the spiritual sequal to the original Neoballs video from 2012 that racked up 10M views. 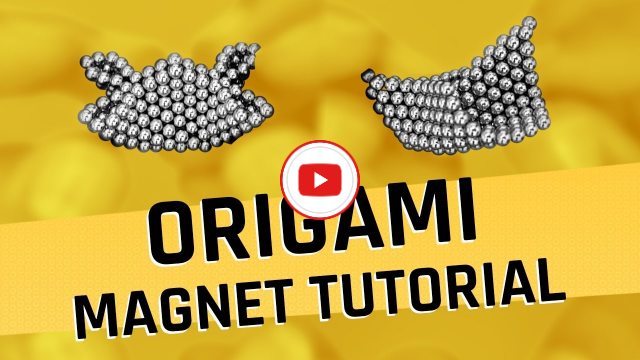 Also, by common request, tutorials have been made of the micromagnets video. See below. This is the Second Official Neoballs video. 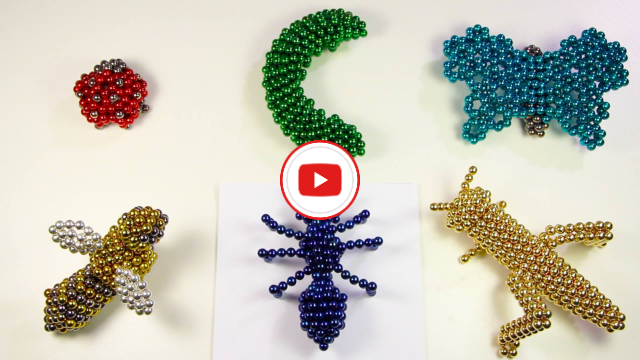 See six satisfyingly sculpted magnet insects, each with a brilliant stop-motion sequence. Produced by Jett Williams, the stop motion master. You're going to want to watch this 5 min gem till the end. The first Micromagnets video was intended to excite, not tutor. Click above for a soft friendly tutorial without that fierce Drum 'n Bass in your face. Probably the most mellow audio-visual creation we've made. Aussie's have the best accents. If you want to support the creation of such content, do that whole youtube like and subscribe thing. And in case you forgot our web addresses, the buttons below save you several seconds. Oh, and there's an additional 20% discount hiding on this page if you care. You're still here? Update your email preferences if you want more details about our legal struggles, notifications about contests, or want to be part of our labs group. Oh, that discount code is "TRIUMPH" without the quotes. That wasn't even hard.